Deidre Ledford hails from the small town of Franklin, NC, nestled deep in the Appalachian Mountains. She received her BS from the University of North Carolina at Chapel Hill and her Master in Environmental Management from Duke University. After graduating in 2011, Deidre moved to Lake Tahoe and began working for Project MANA as an AmeriCorps member through the Parasol Tahoe Community Foundation AmeriCorps Program. 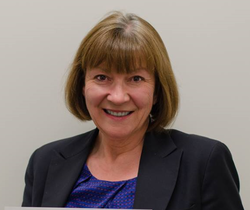 Since that time, Deidre has gone through four additional staff roles within Project MANA and transitioned into Executive Director in February 2017. Deidre has a deep passion to serve the community in which she lives and is dedicated to empowering the food insecure to escape from hunger and poverty. In her spare time, she likes to soak up the beautiful outdoors with her dog, Chewy! Born and raised in metro Detroit, Julie spent 15 years with the automotive industry perfecting the craft of designing and implementing innovative campaigns and events that educate, connect, motivate, inspire and influence the way people think and act. Since moving to The Lake in 2008, Julie has been marketing, fundraising and managing special events for profit and nonprofit organizations in the Reno-Tahoe area, including JDRF and The Lake Tahoe Shakespeare Festival. She lives in Incline Village with her husband Huckleberry and their dog, Fozzie, and together they spend as much time as possible sleeping in tents, hiking, and enjoying the snow and the lake. Miren Hower Merrill joined Project MANA as a volunteer in 2016. She was initially involved as a member of the Fundraising Advisory Committee. She then started volunteering at the distributions finding that the “boots on the ground” approach kept her connected to the mission. This broad based experience with the organization eventually led to the position of Program Director. Miren has 30 years of sales and small business experience and is bilingual, with Spanish being her first language. She graduated from California State University, Fullerton in 1989 with a B.A. in Communications and an emphasis in Public Relations. Miren’s goal is to develop Project MANA’S signature service of supplemental food distribution by adding enhanced health and wellness services at distribution sites. She is currently working on a diabetes education and prevention component to benefit Project MANA’s community members who might not otherwise have access to valuable information and programs. Miren currently resides in Incline Village with her husband Andrew Merrill and her two pit bull rescues, Sunny and Macklemore. She is an avid skier, hiker and paddle boarder making the North Lake Tahoe area her favorite place in the whole world. Brian joined our team as Warehouse Coordinator in September 2013. Although originally from Berkeley, Brian has spent most of his life in Washington, DC. Lured by its amazing beauty and endless opportunities for outdoor adventure, Brian returned to Lake Tahoe in 2012, a place where his family has worked and played since the 1930’s. From his time as an architect to his stint with Recreational Equipment, Inc. (REI), his involvement with community service organizations has ranged from training young people in the Leave No Trace principles to spearheading the effort to build a respite care center for families affected by HIV/AIDS. Becoming part of the Project MANA team was a next logical step for Brian. Here he is able to utilize his organizational skills as well as interact and bond with the community members we serve. As the "Food Dude," Brian handles all food items coming in to Project MANA and being distributed to community members. Brian enjoys designing and building things and is currently taking his sweet time constructing his first “Tiny House”. Originally from Pennsylvania Justin grew up in a town near Pittsburgh. He attended Slippery Rock University where he attained a degree in Social Work in 2011. Justin worked at a group home for at-risk youth before moving to the Tahoe Area. He quickly picked up climbing, hiking, and snowboarding and loves spending time outdoors. Before working at Project MANA, Justin was a Case Manager at Big Brothers Big Sisters helping volunteers connect with at risk kids. ​Originally from Virginia, Debbie moved to Incline Village full time in 2006, by way of the San Francisco Bay Area. After a career in Social Services, and Appraisal she retired from public service in 2011. Debbie holds a bachelor of Social Work from James Madison University and a Masters of Public Administration from California State University, Hayward. Since becoming a resident of Incline Village, she has volunteered for a number of nonprofit organizations including Project MANA, Tahoe SAFE Alliance, Petnetwork, and American Association of University Women. She enjoys travel, hiking and snowshoeing in our beautiful area. The Project MANA Board of Trustees received the 2018 100% Board Giving Award from the Community Foundation of Western Nevada. This award shows the level of support provided by Project MANA board members, who continue to work towards our organizational mission to reduce hunger in North Tahoe/Truckee. Craig grew up in the San Francisco Bay Area and has been a Lake Tahoe resident since 2012. He holds a degree in Economics from Cornell University and an MBA in Finance from the University of San Francisco. He retired after 37 years with IBM where he held a variety of sales and sales management positions. He is an active volunteer with Project MANA as well as the Read-With-Me Program at the Incline Elementary School. Craig enjoys spending time with his family and two dogs as well as cooking, boating and skiing. Ted grew up in Lancaster County Pennsylvania and has been a Lake Tahoe resident since 1988. With a passion for skiing and the outdoors Ted transferred from Penn State University to study Ski Business Management at Sierra Nevada College in Incline Village. He has been an active volunteer with Project MANA since the Fall of 2015 and joined the Board in December of 2016. He has 30 years of experience in the Food & Beverage industry with job titles ranging from pizza cook to restaurant owner, and most positions in-between. He is currently a Senior F&B Manager for Vail Resorts working at Northstar California. Ted and his wife Logan enjoy hiking, kayaking on The Lake, traveling and hosting friends & family at their home in Tahoe Vista. He has been active in local religious and non-profit organizations for forty years, including president and treasurer of the Human Need Food Pantry in Montclair, NJ. He is an active member of Rotary and a major blood donor. Tom and his wife Patricia have three children and seven grandchildren. They enjoy biking, hiking and being with their family. Tom is a Certified Public Accountant, earned a BBA in accounting from Iona College and an MBA in Management from Fairleigh Dickinson University. Coralin has been an active volunteer with Project MANA since the Spring of 2014. She joined the board in October of 2015. Coralin is also a dedicated volunteer at Lake Tahoe Wildlife Care where she serves on the board of directors as well. Coralin grew up in Santa Barbara CA, attended college in Virginia at William and Mary and attended graduate school at UC Berkeley. Before moving to the Lake Tahoe Area in 2013, she taught Exercise Science at the University level in Orange County CA for 20 years. In addition to her volunteer efforts, Coralin enjoys triathlons, plant based eating, and wandering around in the local mountains with her partner Chresten and their two dogs. Karen became a member of Project MANA’s Board of Trustees in January 2018. Her family moved to Truckee in 1997, and her two children attended Truckee schools from elementary through high school. Before retiring in 2014, Karen managed a small business providing communications consulting and writing services to organizations such as Microsoft, Hewlett-Packard, Siemens, Bank of America, and Wells Fargo Bank. She graduated from the University of California, Berkeley, with a Bachelor’s degree in History. Her volunteer experience includes running the Truckee Youth Music Program, through which elementary school children from low-income families receive free music lessons from Truckee High band members. Karen managed the program for several years after her daughter—the program’s founder—graduated from high school. She was also a board member of a foundation that raised funds to enhance curricula at an elementary school in San Rafael, California. She enjoys skiing, golfing, cycling, and hiking in the magnificent Tahoe area. Barbara has been involved with Project MANA for the past three years as a volunteer to a disabled community member, helping with food distribution, and holding dinners to thank supporters. Previously, while living in the Bay Area, she served on three non-profit boards serving in many areas including fundraising as well as starting a food bank. Barbara loves traveling, hiking, cooking and reading and finds Project MANA's vision and mission very meaningful. Jim has been a Lake Tahoe resident since 2009 when he moved from the New York Metro area. With roots as a certified public accountant working for both small and large public accounting firms as well as a business owner of an accounting practice for over twenty years, Jim also served as an associate professor of accounting and tax at Montclair State University in New Jersey. He left the public accounting world to serve as the Chief Financial Officer for a succession of startup ventures in the telecom industry. He is a graduate of Bryant College with a Bachelor's degree in Business Administration and a Master's degree in Taxation. Jim loves traveling, reading and knows his way around a poker table. Jim previously served on Project MANA’s finance committee where he was impressed with the organization and its mission.